Several of Townleys poems have been published previously, in publications such as Southern Poetry Review, The Midwest Quarterly and The Kansas City Star. The artist Eric Dinyer worked on Stings interactive CD-ROM, All This Time. The book is nicely constructed, on good quality paper, with high production values. 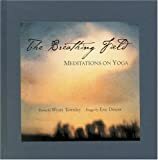 The Breathing Field might appeal to those who practice yoga, enjoy poetry, and seek out new age bookstores. The poems have an appealing simplicity in their form and imagery. Consider, for example, Swimming Lesson. up. The potato grows down. The artwork with the poems has an impressionist feel to them, often picturing objects from nature such as trees, water, clouds, stars and planets, but also include images of a key, an x-ray of a spine, and human faces. They often include photographic images, but the images are treated to give each work a sense of fantasy or dream, using techniques such as superimposed images, faint distortions on the surface, and manipulations of color. While I can appreciate the skill with which this book was made, I could not finish my review without mentioning my reservations. I find it a slight work, relying on well-worn ideas. For a reader to find the book helpful, she would have to largely suspend any critical faculties she might have. Of course, it might be helpful to just be able to enter into spirit of new age approaches to well-being occasionally, and far be it from me to condemn those who would find this book or its ilk a valuable resource. But I would hope that readers would soon move on from such books to more probing and demanding approaches to inner exploration.